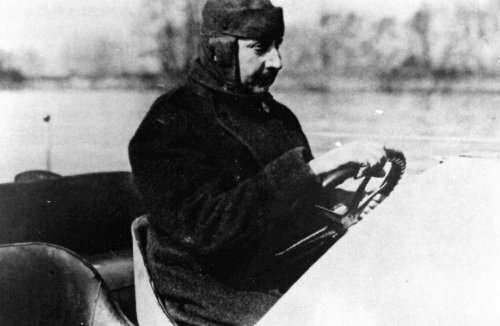 Finally in October 1913 with, again, his big friend Paul Tissandier - * 19/2/1881 Paris; † 11/3/1944 Paris (more details on him in Chapter 7 CHARLES DE LAMBERT THE PIONEER OF AVIATION) with a motor of 160 horsepower a world speed record on water of 98,600 kilometres an hour was set. In 1913 as well de Lambert opened an agency in Paris XVI, 9 rue François-Gérard. ‘Agent de vente’ (general sales agent) respectively ‘agent général’ is Maurice Bienaimé, in 1912 winner of the international worldwide contest for gas balloons the ‘Coupe Aéronautique Gordon Bennett’. At the same time he spreads his wings in Brazil, China, Colombia, England, the Commonwealth, Indo-China and Italy, all countries with often bad roads but an abundance of watercourses. 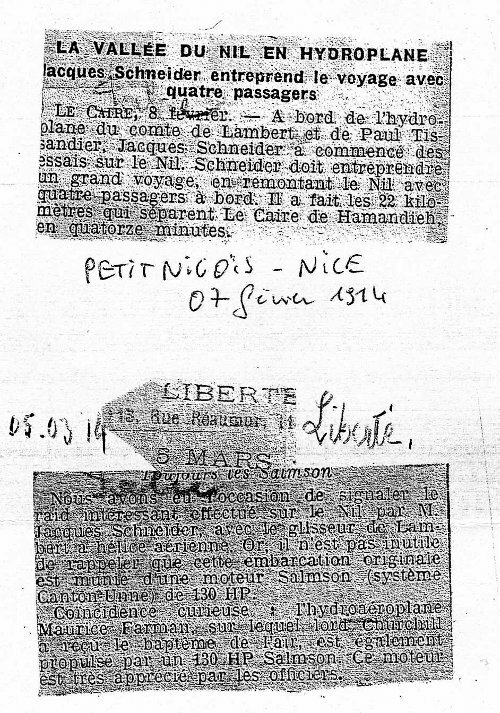 Another competitor in the racing with motorboats in Monaco is the French industrialist Jacques P. Schneider, balloon- and airplane pilot with licence and for a long time, together with the above mentioned Maurice Bienaimé, holder of the altitude record with a balloon of 10.081 meters. In 1910, during a race, he met with a serious accident causing a multiple fracture in an arm. Flying airplanes is no longer possible for him but he still enjoys the hydroplane. Thus he made, with Lord Kitchener aboard, a cruise on the Nile from Cairo to Khartoum in 1914 in a ‘hydroplane de Lambert’.